Looking for some fall color . . .
We witnessed a magnificent Sunset (above) over the Gulf of Mexico this past Sunday. The brilliant oranges and yellows got me thinking about how different “Fall” looks in different places. 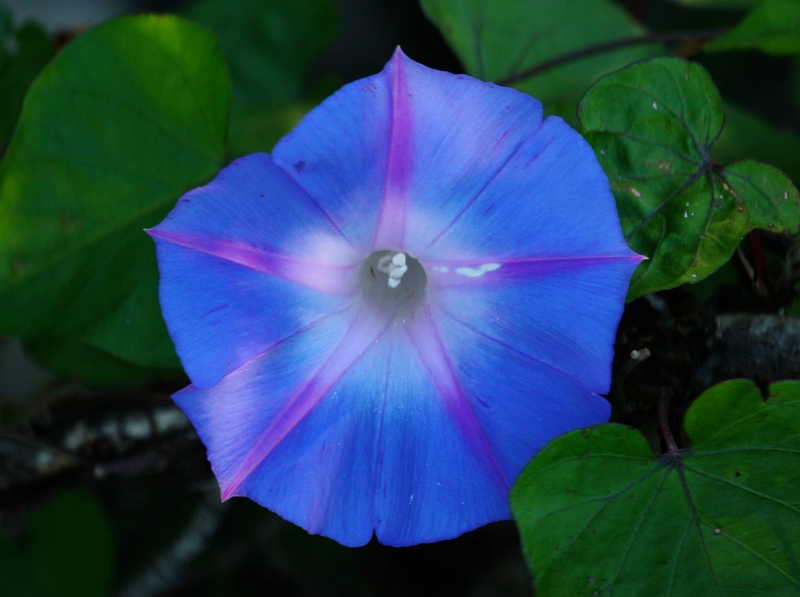 These beautiful, rich Purple Morning Glories above were blooming all along the roadside on the water’s edge at Ding Darling National Wildlife Refuge the other day. Their bright blossoms could be a sign of summer! They certainly didn’t look like the autumn colors I was accustomed to in the northeast . . . .
As I went about searching for autumnal colors, this bright yellow bloom popped up all over. 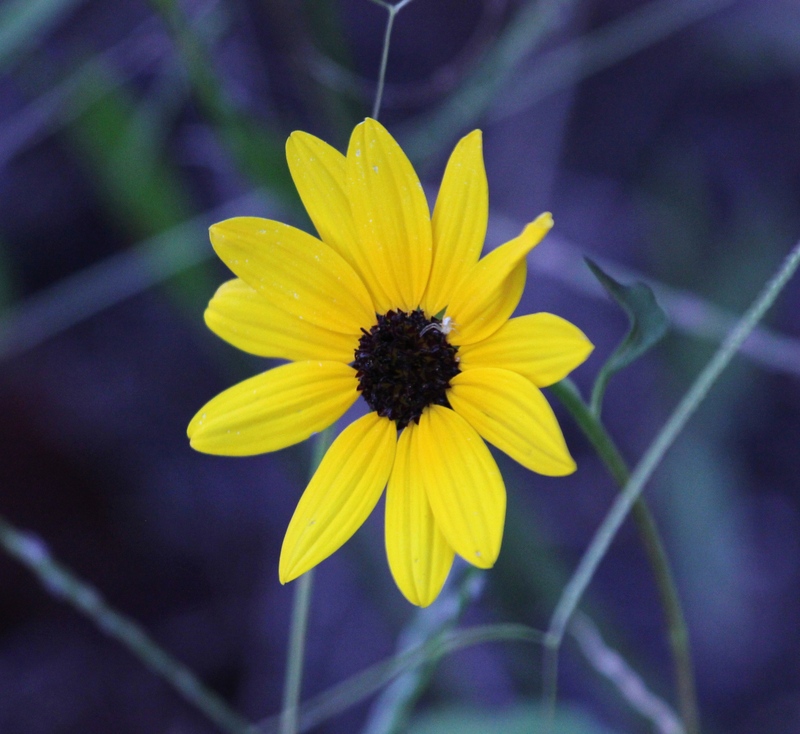 I think it’s an East Coast Dune Sunflower (?). At first glance, this past Sunday morning wasn’t really looking much like a late fall day, but then I recalled that November is prime migration time for White Pelicans, who pass through Florida on their travels. These gigantic birds are amazing! Their 9′ wingspan is reportedly the second largest of any North American bird. 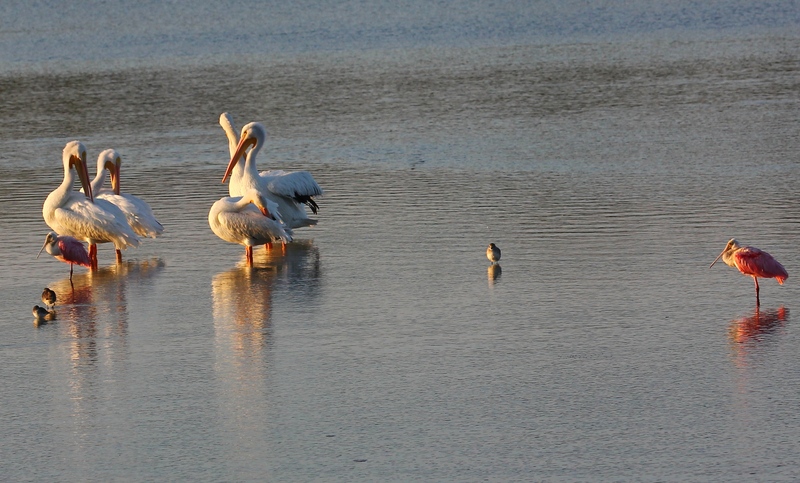 Preening and relaxing in the early morning light, the White Pelicans dwarfed the Roseate Spoonbills, which are actually very large birds themselves! 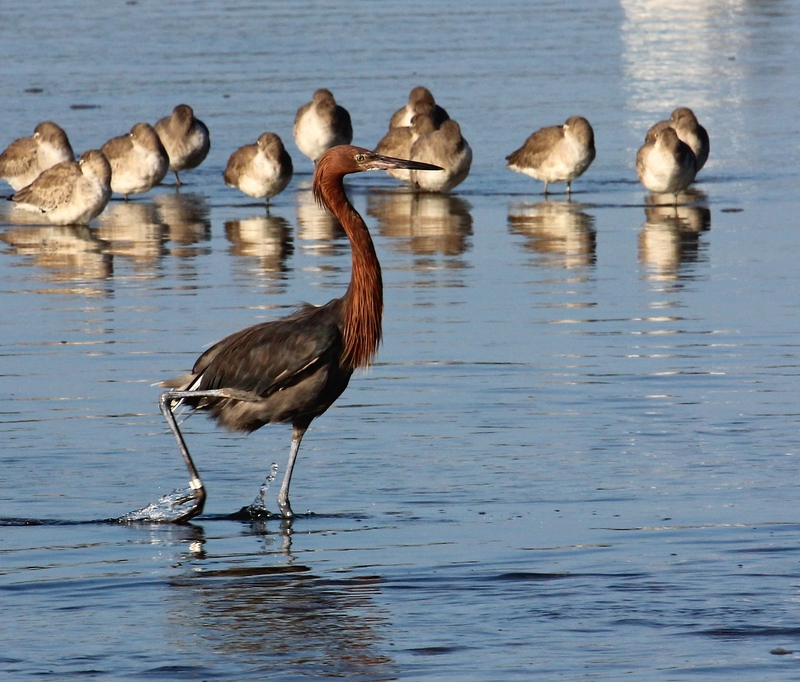 A lone Reddish Egret was also strutting and prancing about amongst the Pelicans and Spoonbills, as they are known to do, showing off in front of all the smaller birds. This rag-tag little black, orange, and white butterfly always sports the traditional fall shades. I believe this tattered fellow is a common Gulf Frittilary who has clearly been in one too many battles! 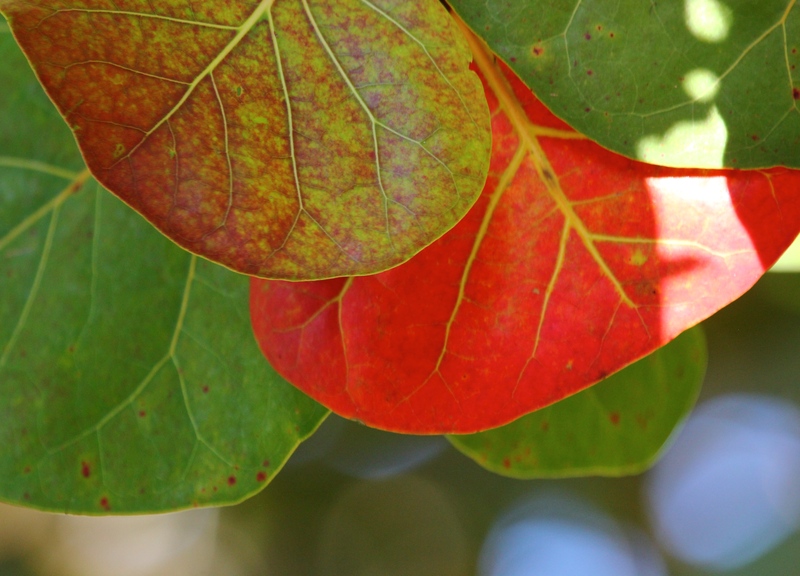 Even the ubiquitous large Sea Grape leaves above are turning reddish-orange, and the dark maroon leaves could pass for a scene from the New England foliage season. 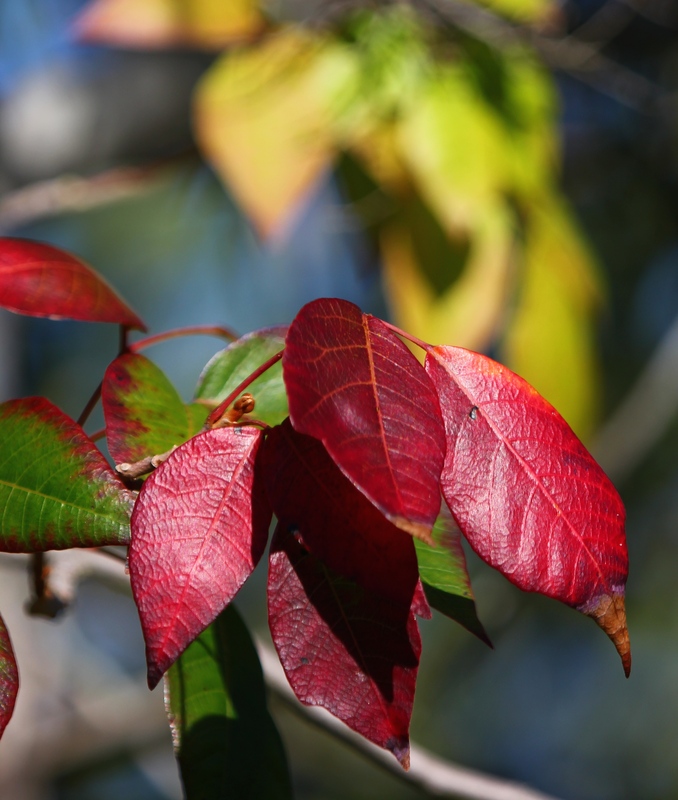 I was surprised to see so much evidence of autumn changes, even here in Florida. 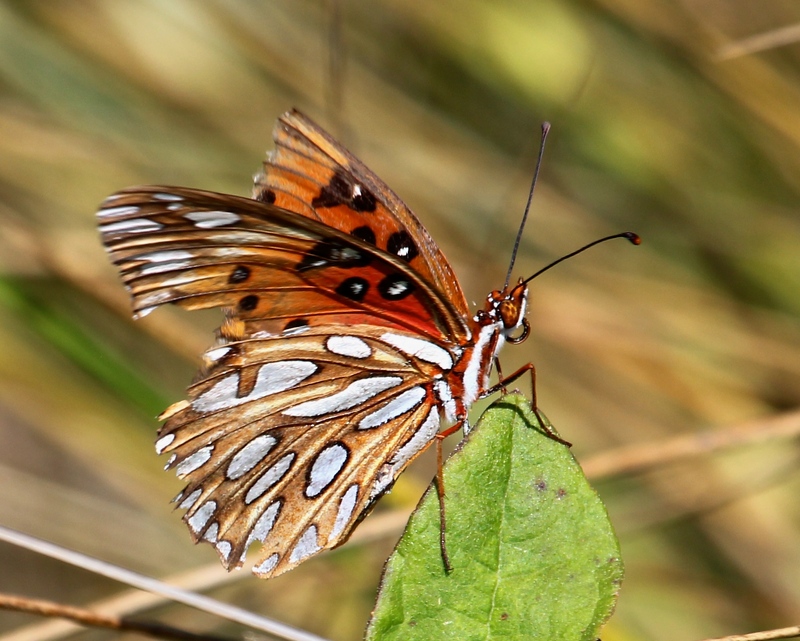 This entry was posted in Birds and tagged Dune Sunflower, Gulf Fritillary, Reddish Egret, Roseate Spoonbill, White Pelican. Bookmark the permalink. A lovely post. It’s great to see all that colour, especially as it’s not something we have a lot of in Australia. What lovely photographs-that sunset is so vivid and illuminating! Thanks for your visit, Lorri. This was only our second time on the Gulf Coast of Florida and we couldn’t get over how brilliant the sunsets were!